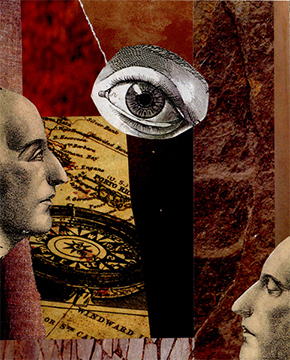 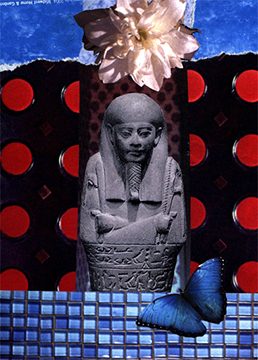 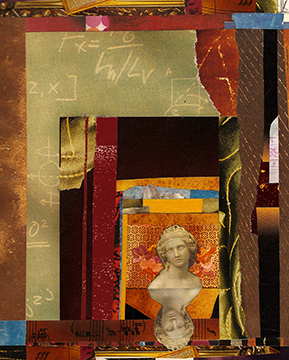 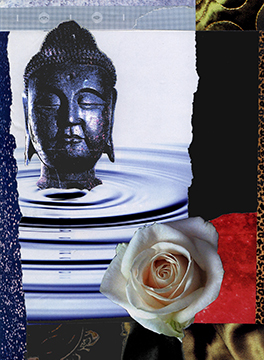 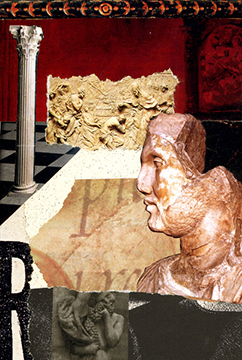 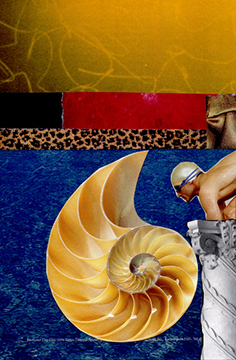 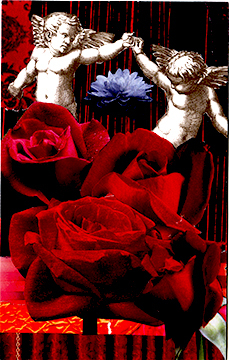 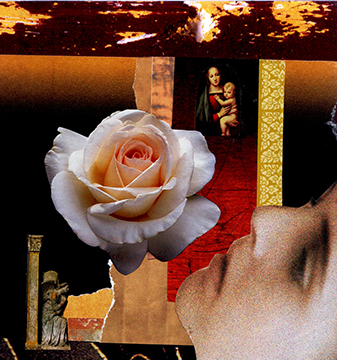 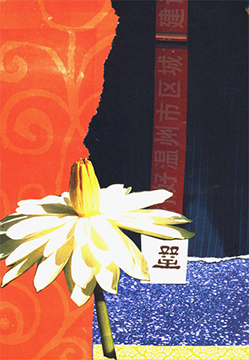 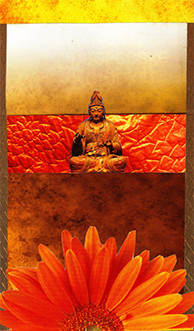 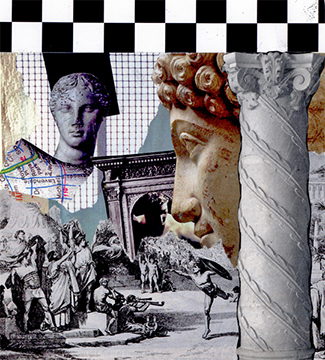 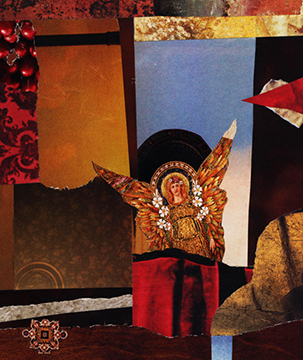 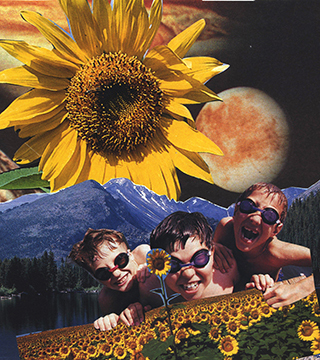 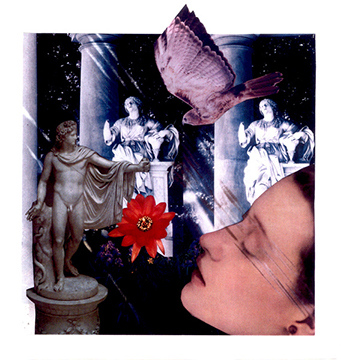 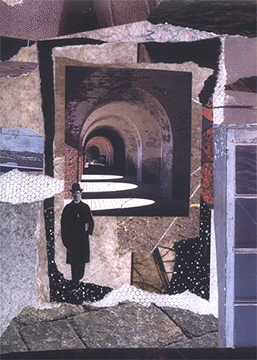 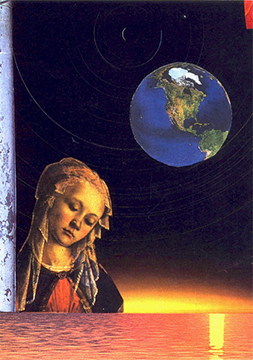 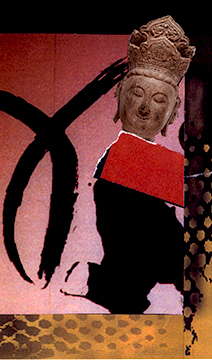 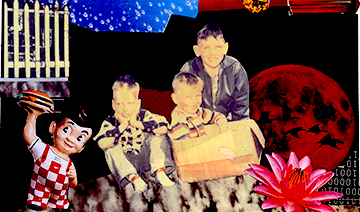 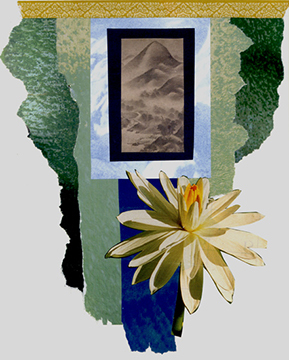 The images in this gallery are created using traditional cut and paste techniques. 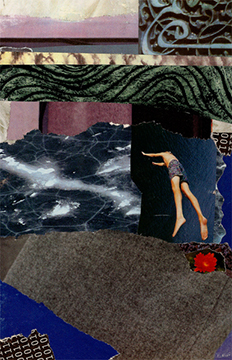 We gather images from magazines, books, and newspapers. 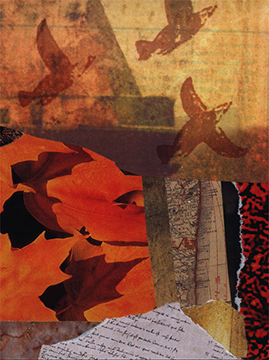 We cut out the images by hand and combine and arrange them to convey a message or theme. 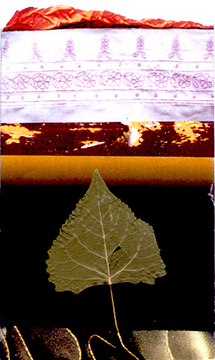 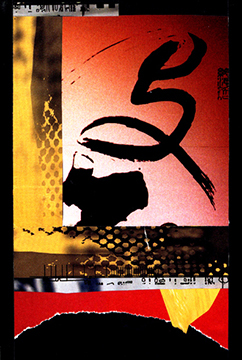 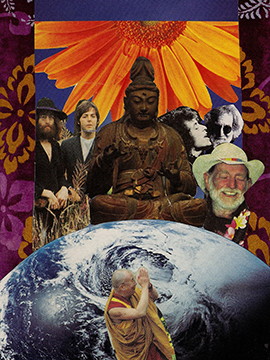 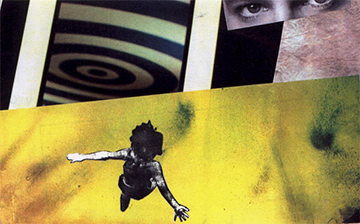 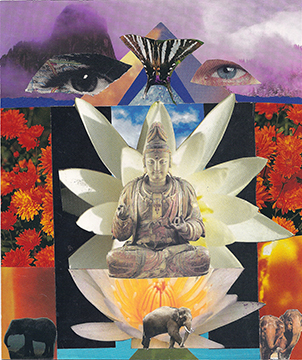 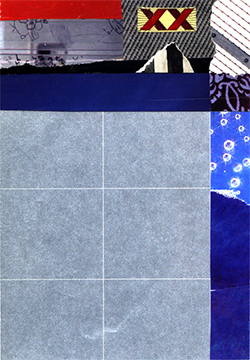 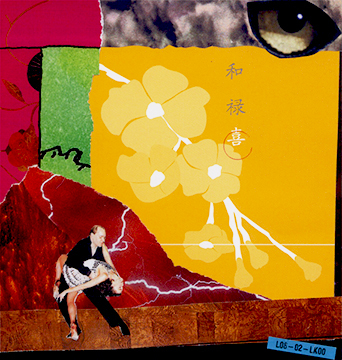 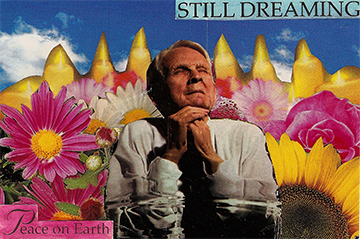 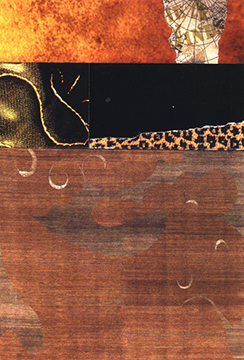 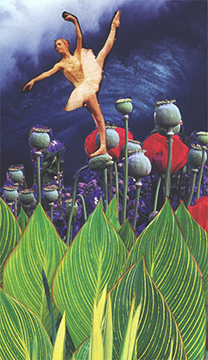 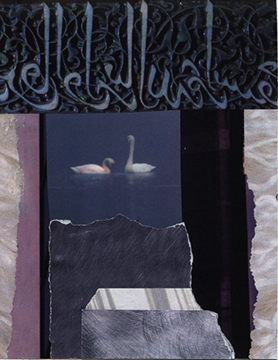 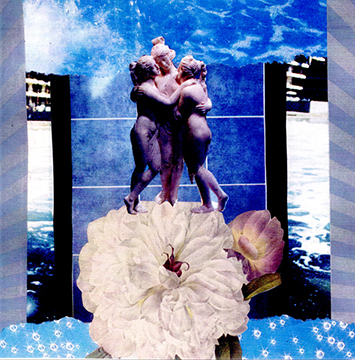 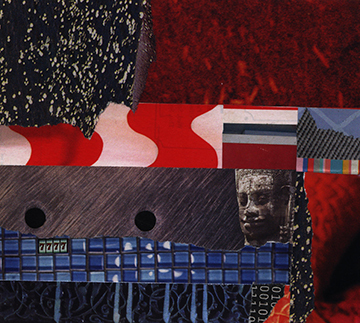 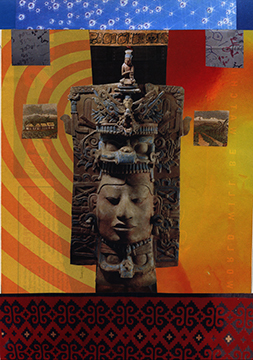 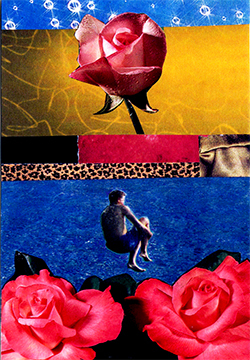 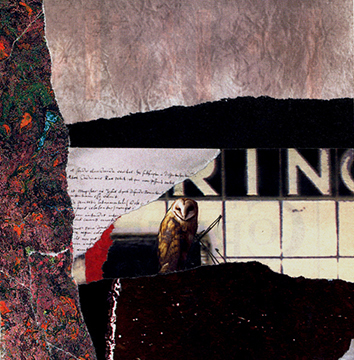 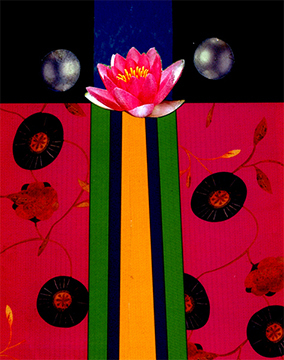 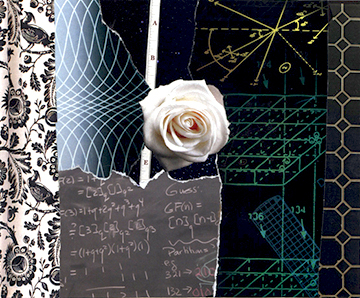 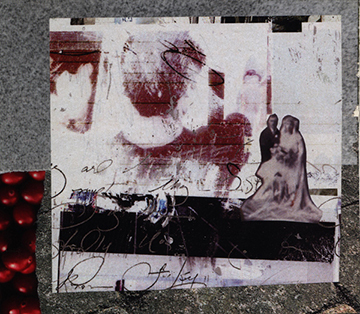 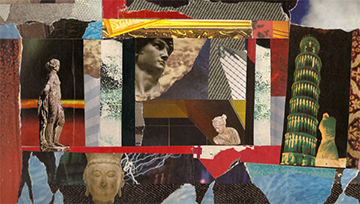 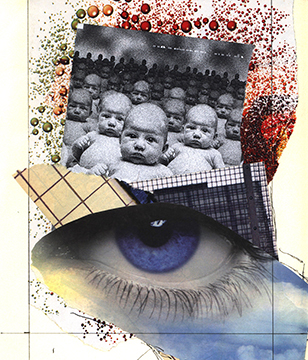 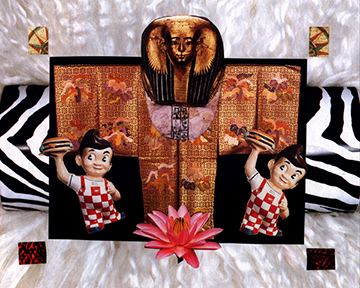 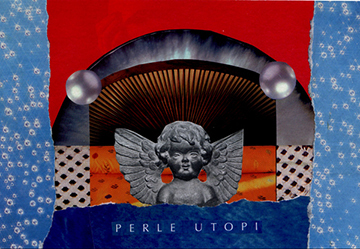 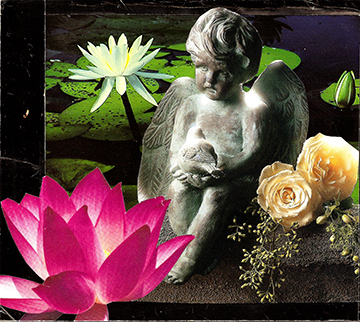 The collages were the technique used in the process of creating correspondence art postcards. 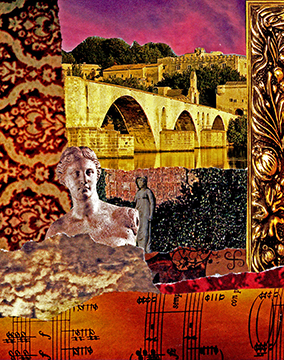 Prior to meeting Don, Jane had been making postcards to be sent to other art friends. 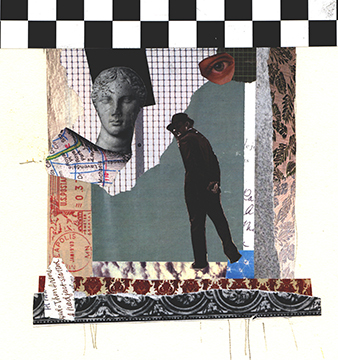 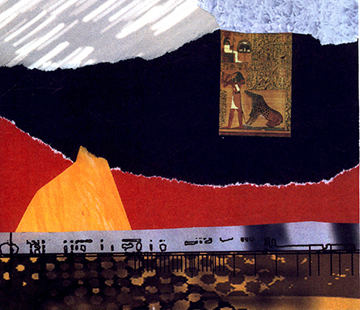 After meeting Don the postcard art grew and evolved into making collages that would be reproduced as prints and framed for exhibits. 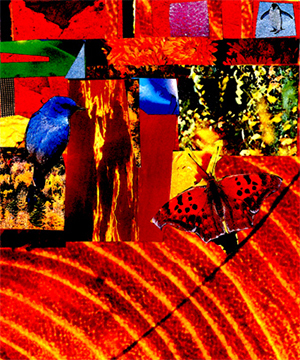 The collages involve a lot of collaboration in the decisions concerning composition, design, image selection and placement. 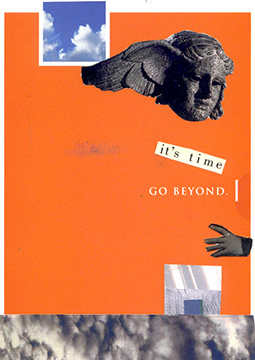 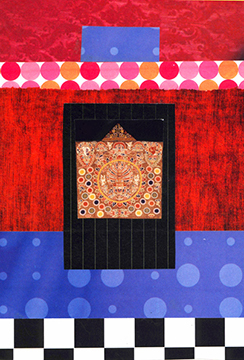 One of the first collages we collaborated on was for the "Foot in the Door" exhibit at the Minneapolis Institute for Arts. 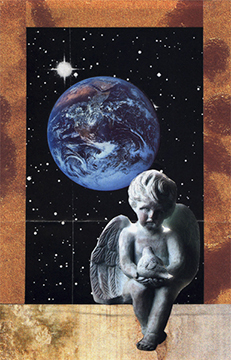 There is a separate gallery for images that were created for postcards and greeting cards although many of the images appear in both galleries. 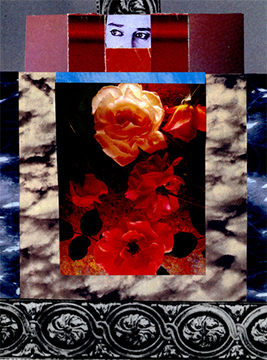 Prints and framing can be purchased from the websites below. 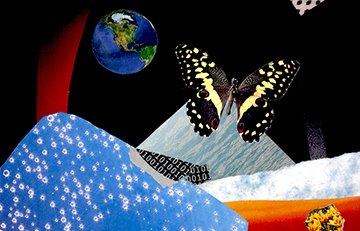 Click on any of the links to see which images are available.